Please try to change the shortcuts or disable it. Last edit: 4 months 3 weeks ago by Jay Chivo. Please try to disable the shortcuts or change it. 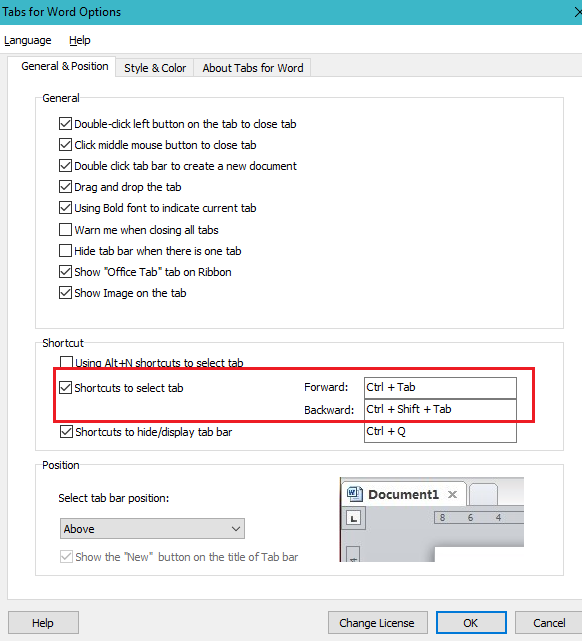 When working in Word with Tabs for Word installed and trying to use the tabs function within a table I use the correct CRT+Tab command and it does not work instead switching me to another document BUT if I uninstall the Tabs for Word software the correct CRT+Tab command does work and I can set tabs within a table. Any suggestions as I often work within tables in Word AND I really like the Tabs for Word software?